Bitcoin users in India have been facing difficulties with deposits and withdrawals after the country's banks blocked all crypto-trading. The Finance Ministry has compared digital currency investments to ?Ponzi schemes.? The Russian economy has recovered and is growing, according to President Vladimir Putin. Last year, Russian GDP grew after the recession of 2015 and 2016. Amazon CEO Jeff Bezos has become the wealthiest person in history and the first to outrank Microsoft's Bill Gates on the rich list, according to data compiled by Bloomberg. Gates was the only one to have made 13-figure fortune. The creator of the world's fifth-biggest digital currency Charlie Lee said he has sold all his litecoin tokens over the past few days to avoid further accusations of benefiting via his own tweets. The anonymous person who invented bitcoin joined the Forbes? list of the world's 50 wealthiest people shortly after the digital currency hit a record $20,000 on Sunday. Including Serbia in the free trade zone of the Eurasian Economic Union (EEU) could open new opportunities for development of business links, according to Russian President Vladimir Putin who added discussions are underway. Initial public offerings (IPOs) of Russian companies in London and Moscow have helped raise $2.8 billion this year, the best result since 2011. It shows Russia is recovering from the crisis invoked by low oil prices and sanctions. The bitcoin sell-off continued on Wednesday after the leading platform for buying and selling the cryptocurrency, Coinbase, announced it was rolling out support for rival bitcoin cash. As the Russian government is working on laws to regulate virtual currencies, the country's finance ministry has proposed making their mining illegal. However, buying them will not be punishable. Next season's crop of grain in Russia may break this year's record harvest, according to Agriculture Minister Aleksandr Tkachev. Another question about the safety of cryptocurrency transactions was raised this Wednesday. Clients of a major Las Vegas bitcoin exchange Bittrex say they can't withdraw their money and the company doesn't explain why. The European Union (EU) finance ministers have adopted a blacklist of 17 countries for refusing to cooperate with its crackdown on tax evasion. The price of bitcoin has surged to a new all-time high of $13,200 at 11:04 GMT on Wednesday. The world's first cryptocurrency has nearly doubled in price over the past month. A senior Saudi Prince Miteb bin Abdullah has been released in Riyadh after more than three weeks in detention. He was one of more than 200 princes, ministers and businessmen arrested in what the kingdom has called an ?anti-corruption purge.? Crude prices could return to the levels last seen in 2014, according to a prediction by economist Jim O?Neill, former chairman of Goldman Sachs Asset Management. American stocks finished Wednesday with record gains as Jerome Powell moves a step closer to chair the Federal Reserve and the Senate is expected to vote for big changes to the US tax code. The Russian internet giant Yandex has taken out its autonomous Prius car for a first real-world snow test around Moscow's suburbs. The vehicle successfully drove 300 kilometers on snow-covered roads. 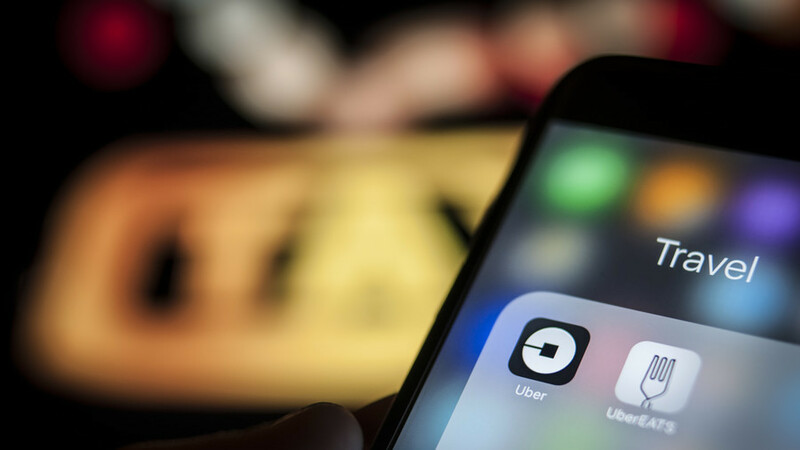 Taxi service Uber had a team of employees spying on rival companies to steal trade secrets, a former employee testified in US federal court in San Francisco.